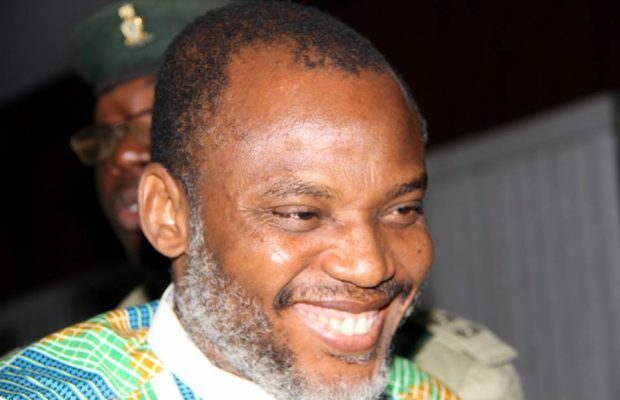 A priest of the Catholic Church, Emmanuel Chibuzor Obimma popularly known as Ebube Muonso, has said President Muhammadu Buhari demonstrated a defective thinking capability through the arrest and detention of the leader of Indigenous People of Biafra (IPOB), Nnamdi Kanu. According to him, IPOB and Radio Biafra were ‘booby’ traps intentionally set for him so as to draw global attention to the secessionist agitations of the South East region. The cleric said this while addressing his congregants at an open-air crusade held in Uke, Anambra state. Ebube Muonso noted that despite the economic hardship the Igbos were subjugated to immediately after the war, they soared through and today became greater than their oppressors; stressing that one Igbo man is equivalent to 500 of his oppressors. He encouraged his congregants to look inwards and seek to develop their potentials from within.